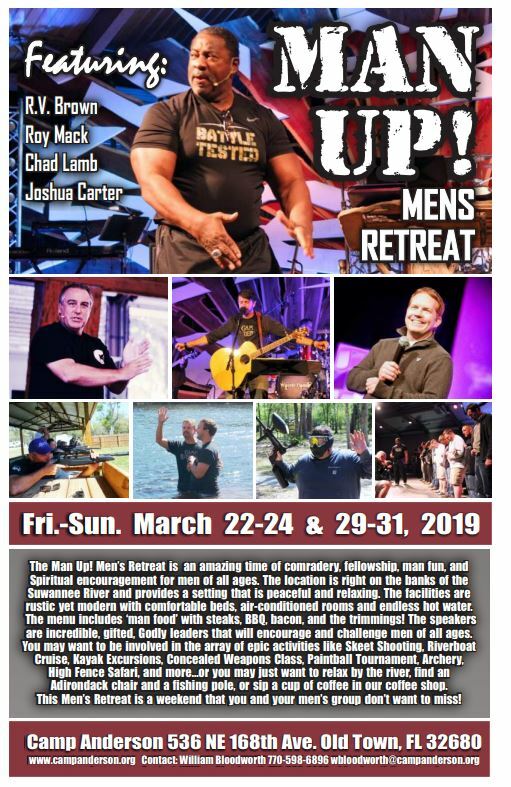 It is time to get signed up for the “Man Up!” Men’s Retreat. 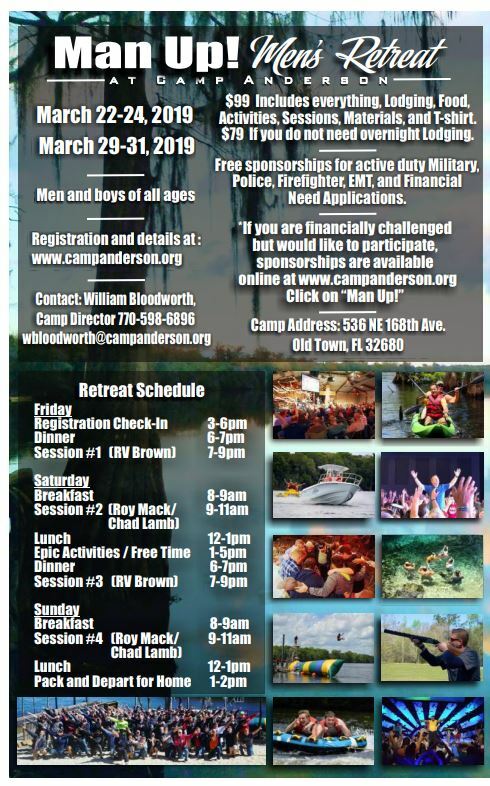 This will be a great time for male comradery, spiritual encouragement and ‘Man Fun’....Bacon, projectiles and gun powder!...don’t miss it! We will be ordering t shirts soon and I need to get your group and individual registrations is so we have a shirt for you!